Thingabobber - WestWater Products - Spawned from time spent on the water and passion about the outdoors - committed to making unique, fun and inspiring products that reflect the beauty of nature and the sports you love. And - You must love them, as Troutcatchers sell thousands of Thingbobbers and Unibobbers a year – Always in stock (well mostly!) make sure you keep a pack or two in your tackle bag. The Thingamabobber is a new design in strike indicator which detect super-sensitive strikes because of its revolutionary trapped air technology. 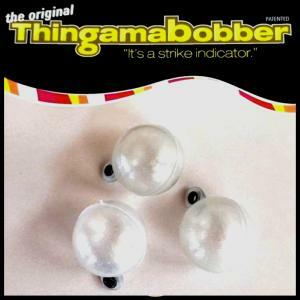 The Thingamabobber design was inspired by western guides in the United States who use small balloons as strike indicators for buoyancy and sensitivity. Already a favourite among guides who have tried it, the Thingamabobber combines all of the best strike indicator elements in one simple design. Buoyant - Easy to Cast - Ultra Sensitive - Durable - Affordable, the Thingamabobber could be the answer you have been looking for. 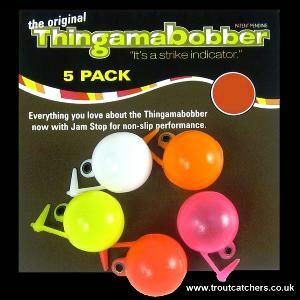 The Thingamabobber come either a multi coloured 5 pack, or 'Glo in the Dark' 3 Pack. The size choice is Small ½" or Medium ¾"
Unibobbers are designed to keep your fly floating in the subsurface of which you'll be able to see from afar. The unibobber is a highly visible indicator with loads of practical uses for all types of flies, terrestrials, parachutes and even for booby style eyes, etc. they will give maximum buoyancy - The possibilities of this product are endless. 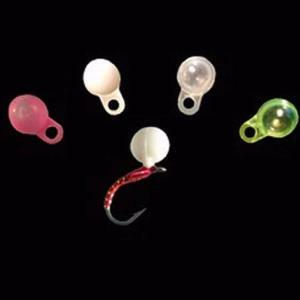 The Unibobber will also work as a Micro Thingamabobber for small waters and delicate fishing. The unibobber come in 4 colours including a Unibobber 'Glo in the Dark' design. The other unibobber colours include, White, Chartreuse & Pink. The size is ¼" and come in packs of 6.